This is a DFRobot designed silicone wheel comes with high quality ABS material wheel hub and silicone wheel tire. To build your own robot, a proper wheel is always the first thing to look at. 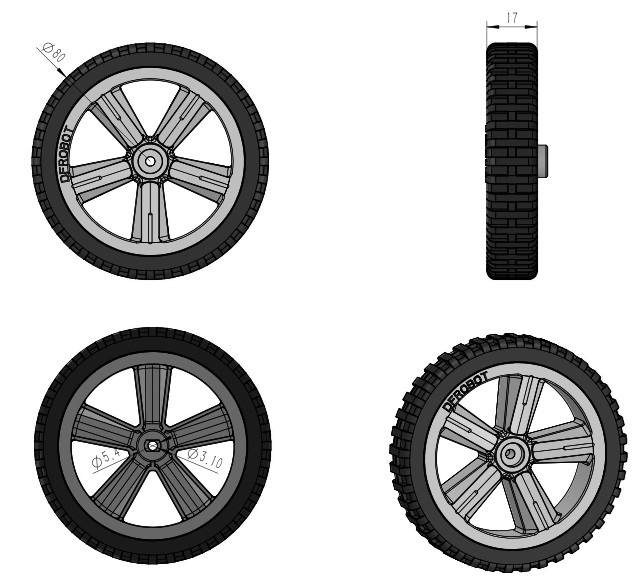 A nice looking and soft tire will great make your robot project shine and stunning.